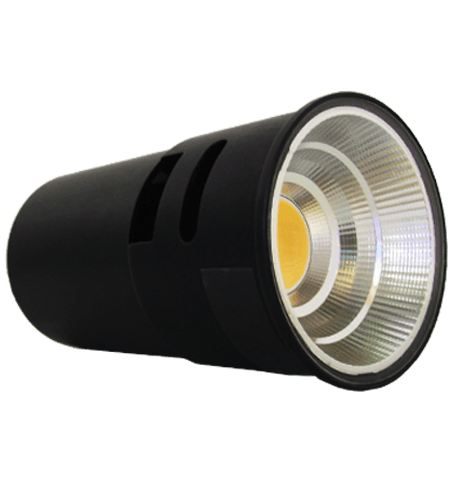 The revolutionary single Bridgelux LED array used within the MR16 – 800 provides the unit with an impressive 1200+ Lumens of pure white light giving the end user a comparable light output to a 50W dichroic down light. Designed as a retrofit product the MR16-800 will fit directly into your existing fittings and comes complete with its own compact power supply. The Bridgelux array used consumes only 9w of input power per fitting, this will not only save you money but also help cut down on carbon emissions and electrical energy.